The Purest Form Of Motorcycling. What makes motorcycles special? Where do you even start! For one thing, what you see is what you get. With a bike, nothing’s hidden under a hood or behind doors. And that’s especially true of a “naked” bike, a machine where you can see the engine and the frame and just about everything else. Bikes like these make sense—they’re light and elemental and pure. And they can also be a ton of fun. 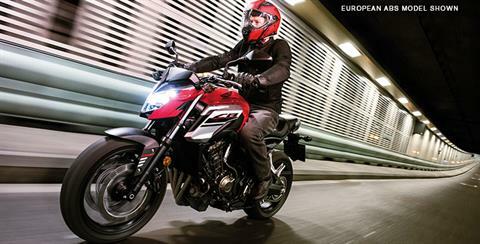 Especially a machine like the all-new 2018 Honda CB650F. While you may not have seen this machine before, we’ve been refining it for several years over in Europe. Now it’s your turn, and like a European supermodel, the CB650F is honed, toned and gorgeous. 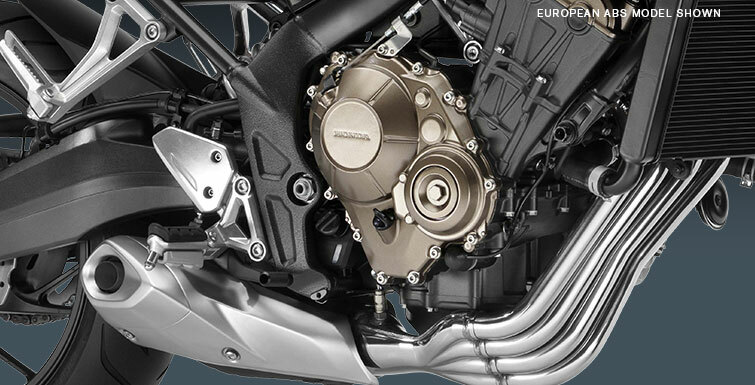 We started with the engine from our popular CBR650F. Offering an 11,000 rpm redline, we gave it shorter gear ratios to ensure some rigorous acceleration through the midrange. Revised intakes and a free-breathing exhaust mean more peak power too. In short, it’s a blast to ride. 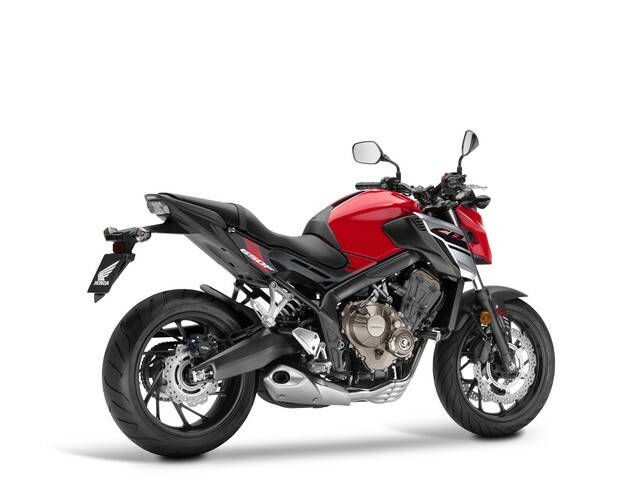 And check out those 4-into-1 exhaust pipes—a styling touch to one of the most iconic Hondas ever, the CB400F Supersport. Genuine middleweight four-cylinder motorcycles are an important Honda tradition, and bigger isn’t always better. 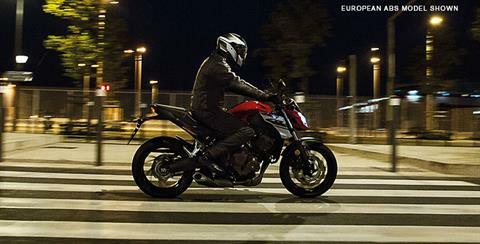 With the new CB650F you get more of what matters – performance, acceleration, style and handling ability – without adding weight or cost. LCD MULTI-METER : In addition to the speedometer and digital tachometer, the CB650F’s instrumentation also includes clock, trip meter and fuel gauge. 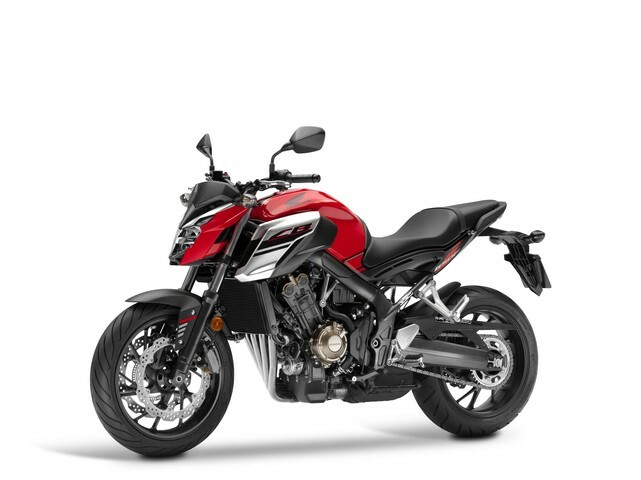 4.6-GALLON FUEL TANK: A bike as versatile as the CB650F needs plenty of range, and the 4.6-gallon fuel tank provides just that. 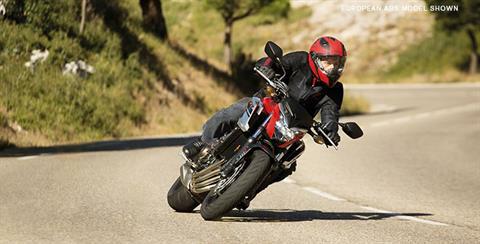 FRONT COWL: The CB650F may be a terrific value, but it still offers plenty of style. Check out its mini cowl. You get just enough wind protection too. 41 MM FRONT SUSPENSION: The CB650F’s front suspension showcases some leading-edge technology. The 41 mm fork is equipped with Showa’s new Dual Bending Valve (SDBV) internals. They make the fork lighter, provide excellent suspension action, and give you cartridge-fork performance without the cartridge-fork price. 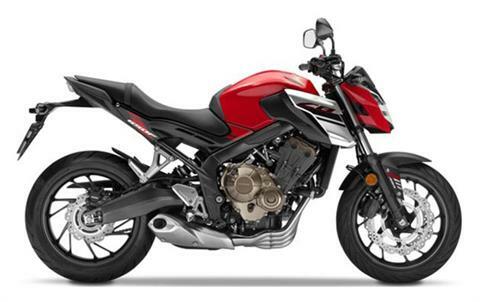 649 CC DOHC ENGINE: Engines like this are what Honda does best. The four-cylinder design makes it smoother and faster revving than most twins, and offers ample low to midrange torque, plus plenty of power through the entire rev range. DUAL-DISC FRONT BRAKES: No scrimping here: Dual 320mm front discs offer excellent stopping power under a wide range of operations. 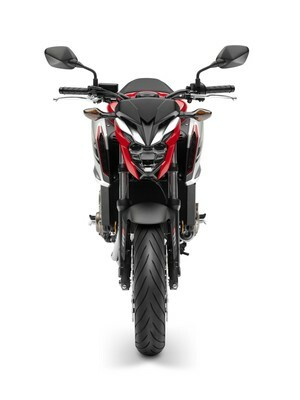 TWIN-SPAR STEEL FRAME: A steel frame is strong, but not too rigid for the needs of the everyday rider. With a 57.1-inch wheelbase, the CB650F is also quick and responsive—just what a machine in this class should be. SIX-SPEED TRANSMISSION: Smooth, nearly seamless shifts and more gear ratios to match the way you want to ride: those are two of the characteristics that make this Honda so much fun to ride. 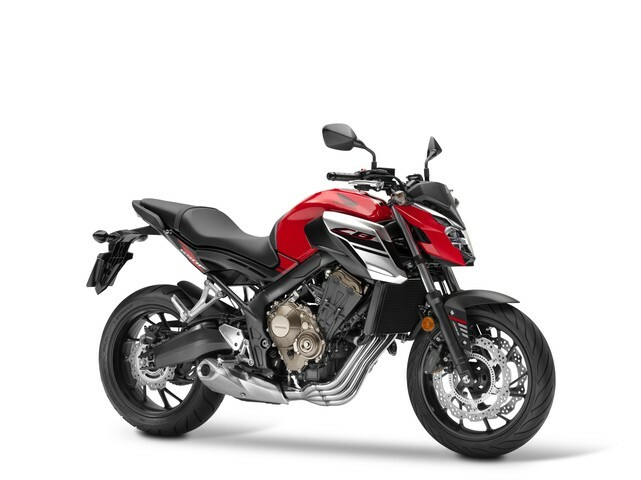 FOUR-INTO-ONE EXHAUST: Power, style and an unmistakable growl—you get all three with the four-into-one exhaust system on the CB650F. REAR-DISC BRAKE: A 240 mm hydraulic disc at the rear complements the twin front discs for plenty of stopping power.